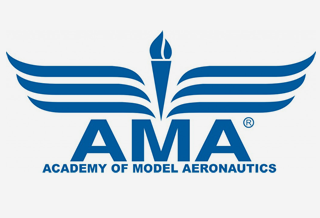 The Academy of Model Aeronautics is a large supporter of Illinois Science Olympiad. For more details about the AMA, please visit ​http://www.modelaircraft.org/. Like last year, the opportunity again awaits in Rantoul, IL on July 21 and 22, 2017 for kids of all ages, but especially for those who are active in the Science Olympiad Aero Events. The venue is Hangar #3 on the grounds of Chanute Air Force Base. The base was deactivated several years ago, but the structures remain. Hangar #3 has a floor area of about 200 ft x 200 ft and a clean (no beams) false ceiling at about 45 ft. It has been recently cleaned and sealed to make it one of the finest sites available for flying Indoor Model Aircraft. The dates correspond to the United States National Championships for Indoor Models during the week of July 17 -22, an event sponsored by the Academy of Model Aeronautics. There will be opportunities to fly Wright Stuff and Elastic Launched Gliders built by students for Science Olympiad tournaments in addition to a build-and-fly session of rubber-powered model from free-of-charge supplied kits. Tools and adhesives necessary to complete construction will also be supplied at no charge. Experienced mentors will guide students to success! ​Please provide a count of the number of students who will participate on each day to help us make arrangements.